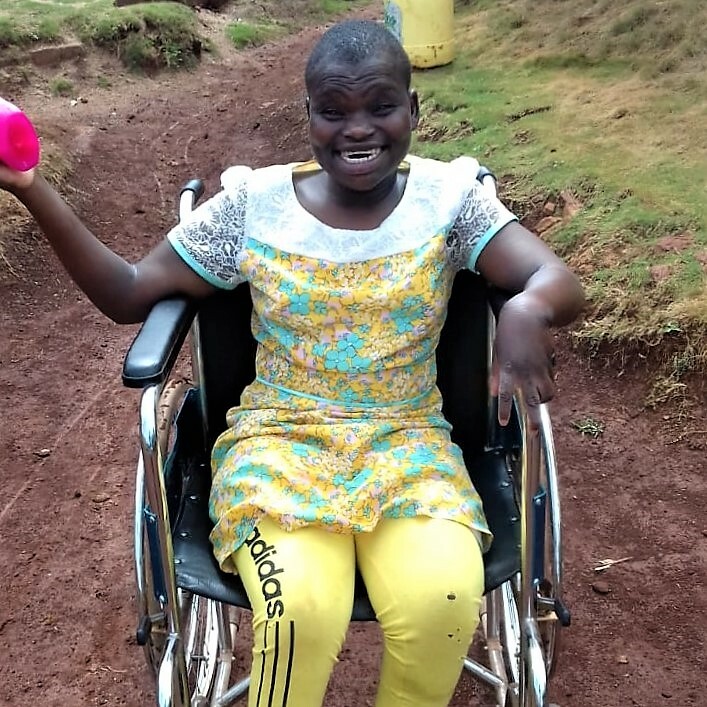 Cheerful 24-year-old Spinika is in dire need of care and lives with her family in the Kenyan highlands. 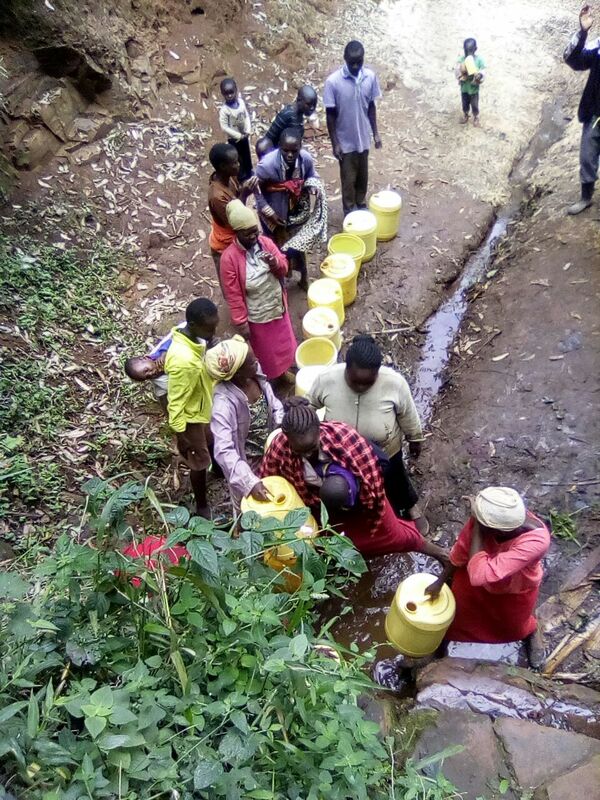 There is no water in the village and they urgently need a well. In the west of Kenya lies the village of Nyangoge. 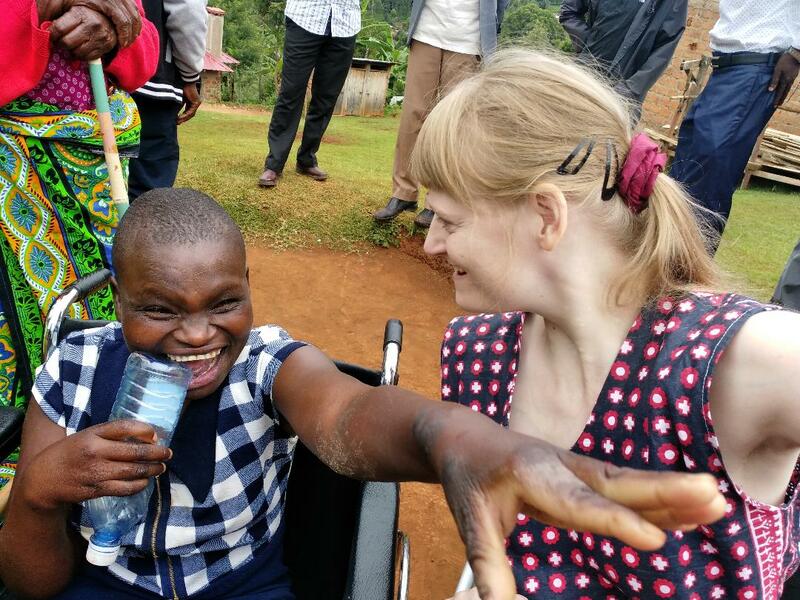 There, severely disabled Spinika lives with her parents. 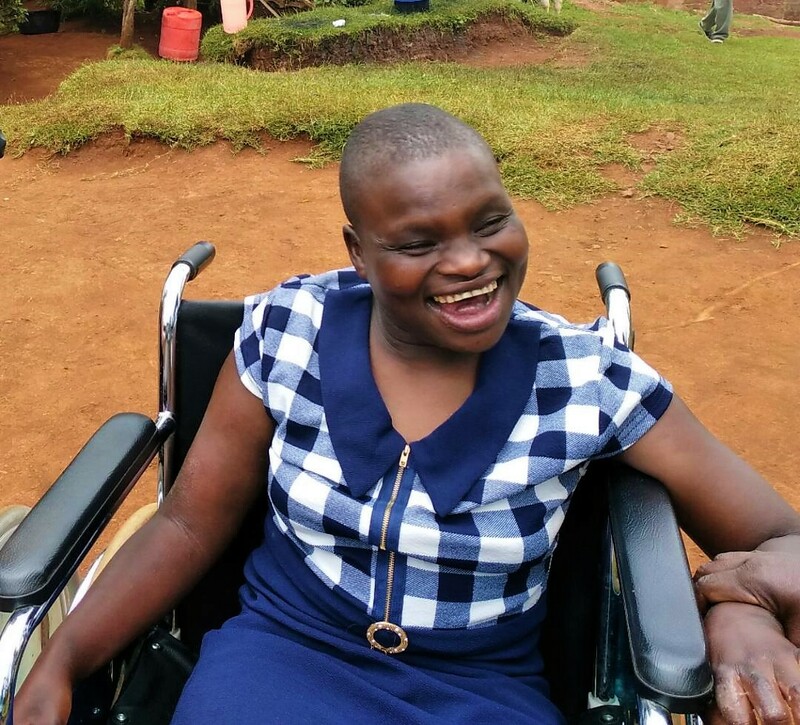 The young woman suffers from a chromosomal disorder and is in need of help around the clock. There is no state support or care. Her mother would like to take more care of her, but the daily route to the waterhole is long and arduous. It's not just about Spinika's family. Every morning, many women and children set out on the arduous journey to queue in rows and bring water for cooking and washing for often large families. The heavy canisters and bowls are carried on the head, not infrequently the laundry is taken to wash. Many children have to help their mothers and therefore they are unable to attend school regularly. In Nyangoge you fight for the bare necessities, for all of us Of course - WATER !!!!!!!!! 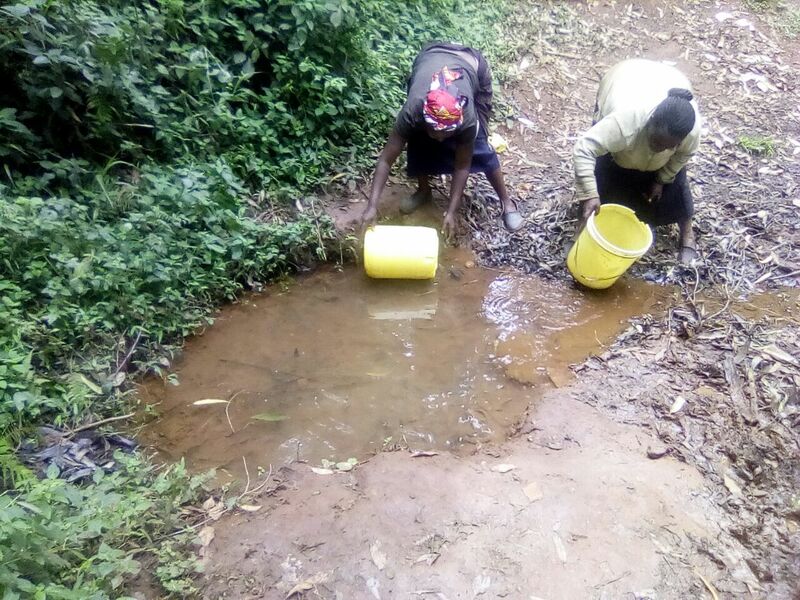 "Water is life", but in Nyangoge it is about daily survival. With our association we want to build a well for the villagers, so that all children can go to school and Spinikas mother has more time for her. Complete billing, invoice copies of the expenditures, which were denied with the means on Respekt.net, photo documentation, on-line final report. By lucky circumstances, we have learned from Spinika. She has the same disability as my 27 year old daughter. At that moment, it was clear that we must visit this girl. Her brother told us about the circumstances in the village and asked our association for help. So this project became a matter of the heart. In the middle of October I traveled with my daughter to the Kenyan highlands. It was a long journey, but it was more than worth it. We were able to get an idea of ​​the situation onsite and once again realized how grateful we must be to live here in Europe. While my daughter gets all the support from the state and insurance companies, Spinika and her family have nothing. Disabled people have no importance in Kenya. Often they are hidden and are just there. 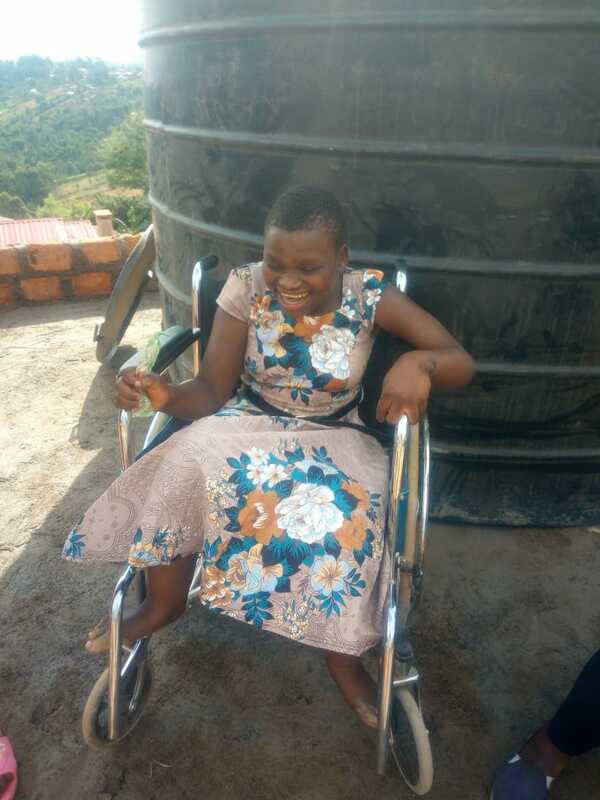 There are no day care centers, no care and so Spinika is always at home with her family, which lovingly takes care of her, but still social contacts outside the family would be very important. 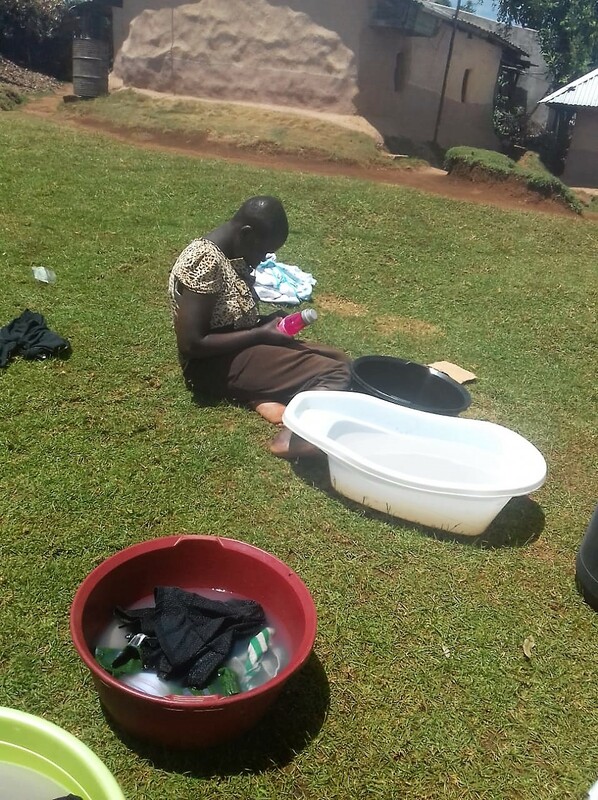 Spinika's family is poor - they can not afford incontinence material. Everyone can imagine what that means for the family. One is busy with washing all day - with Spinika and her laundry. Alone this fact is already a big burden for the family. But there is the big problem that affects the whole village - there is no water in Nyangoge, not to mention drinking water. To avoid the often hot weather, Spinika's mother and the other women and girls from the village of Nyangoge make their way to the waterhole. The long stretch is impassable - across the hilly area. Even the two schools of the village have no water. And so the older students have to take care of the water before starting school - an incredible state of affairs. And these are exactly the two situations that our project deals with. 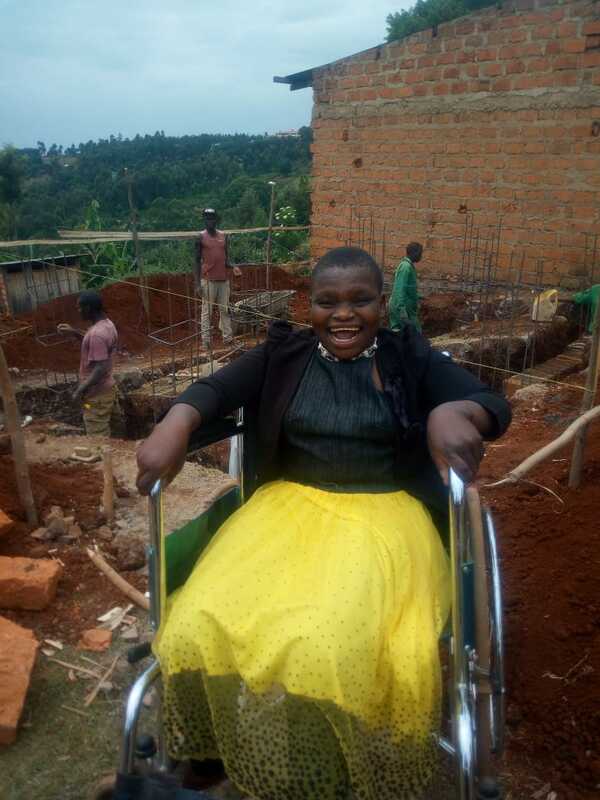 On the one hand, we want to make life easier for Spinika's family and, on the other hand, help the entire village community and have a well built in a central, easily accessible location. This well will decisively improve the quality of life of all. 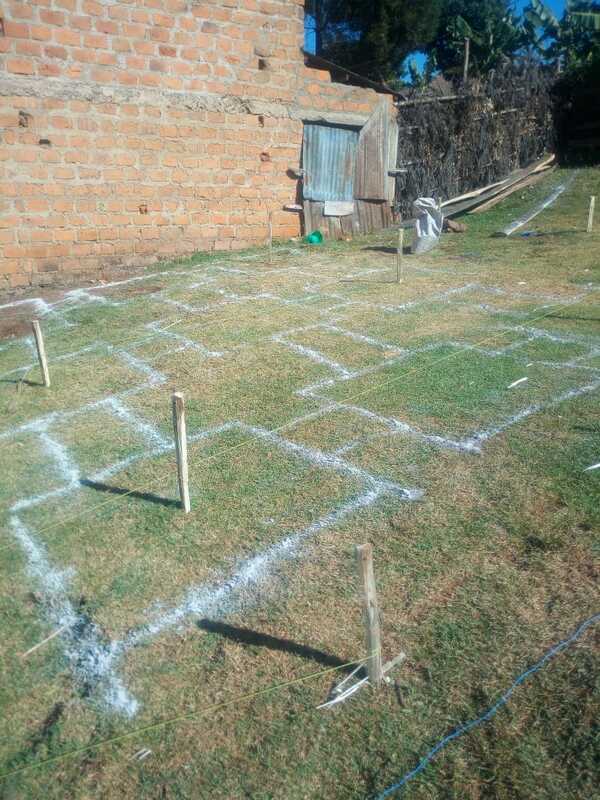 The women could then more easily irrigate their small fields, grow more vegetables and sell in the market. There would be fewer diseases, because the current water is far from drinking water quality. We were fortunate to meet with members of the district government to discuss our intentions with them. They gave us all the necessary support from the authorities. We also agreed that we want to sensitize the villagers for people with disabilities in the region. They should know that impaired people are just special and belong to the community just like everyone else. For this reason, the fountain will also bear the name "Spinika-Fountain", so that everyone remembers when fetching water, to whom they have to thank for this well and thus so much higher quality of life. 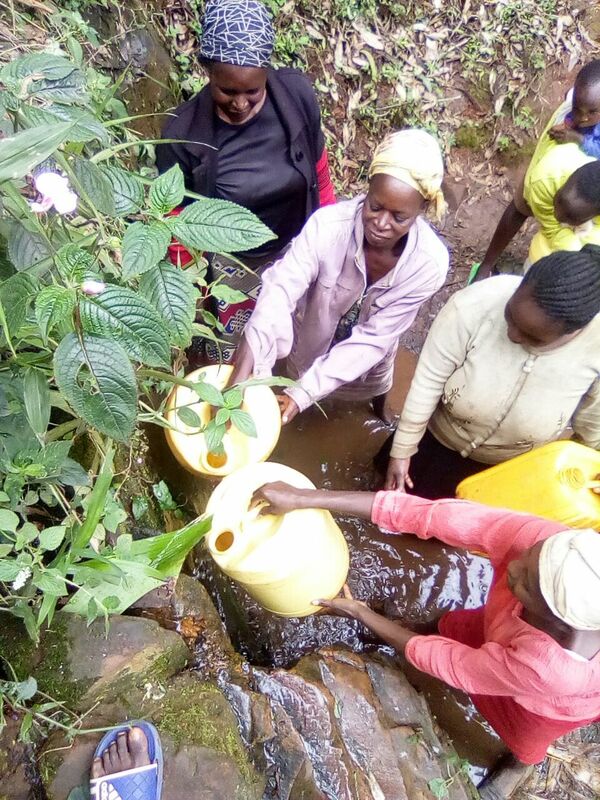 Since our return from Kenya, I have already told many people the story of Spinika and the water problem in the village of Nyangoge, but by far not enough. Here in Austria, we want to open our eyes to people, to make them aware of how thoughtlessly we treat the valuable resource of water too often, because it is a natural luxury for us all. And we need to value the social opportunities for our disabled people in our country more. And so we have planned some actions to reach many people. We will report on our website and Facebook page and will of course create the link to respekt.net. At Christmas, there will be Whatapp newsletters and a flyer action, and we will continue to work closely with the press, as in the past. 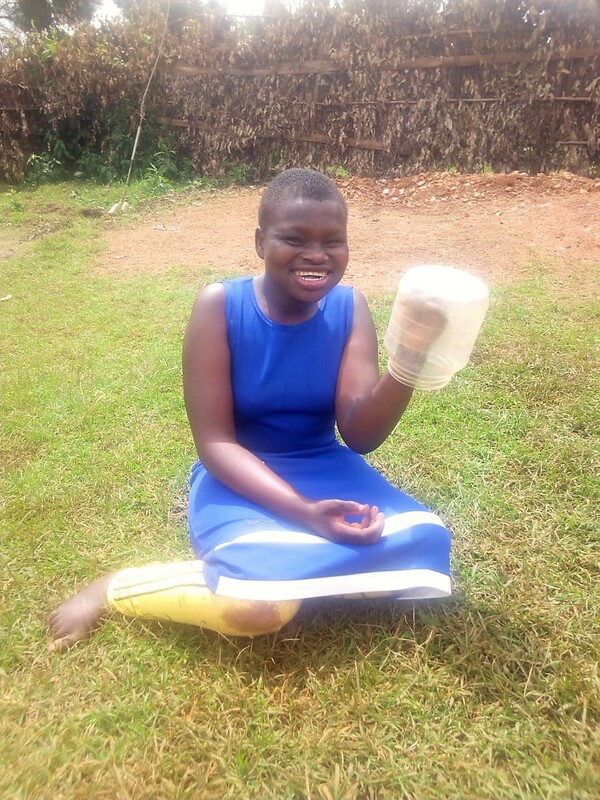 We would be delighted to touch many people with Spinika's story and hope for a lot of support so that we can soon realize our goal, a fountain for the village of Nyangoge. Delayed implementation due to delay of the construction company. It was a great moment when the drill brought the first water to light. Now we are very close to our goal. We are all very excited. There is still a lot to do until everything is ready, but we are on schedule.The place has become a veritable place of pilgrimage. School classes come to marvel at the big machine, the women gather to sing and pray. Our Spinika has become the most famous person of Nyangoge, because she will soon give the whole village clean drinking water. We have pushed our two important projects - the water was found and Spinika gets the attention that every disabled person should get. But we work on that.Since the project was pre-financed by private funds, we continue to ask for active support and thank all our supporters. 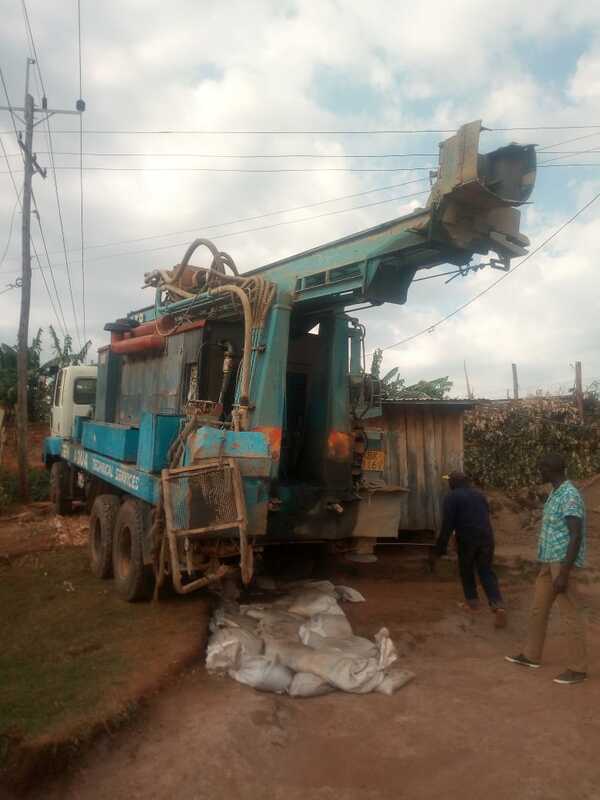 Today the machines arrived in Nyangoge. We start drilling in the morning. Let us all hope that everything works out and please continue to support us so energetically - many thanks in the name of Spinika and all villagers. The kiosk is almost done. The tank is on the roof and everything now has to harden for the next few weeks to withstand the heavy load of the filled tank after completion. Next week, the well company will come and start drilling. Spinika visited the construction site of the kiosk and was obviously looking forward to the progress. After all, the project bears her name. The works are going well and hope for further support. Thank you very much for the recent donation - we are looking forward to every EURO. 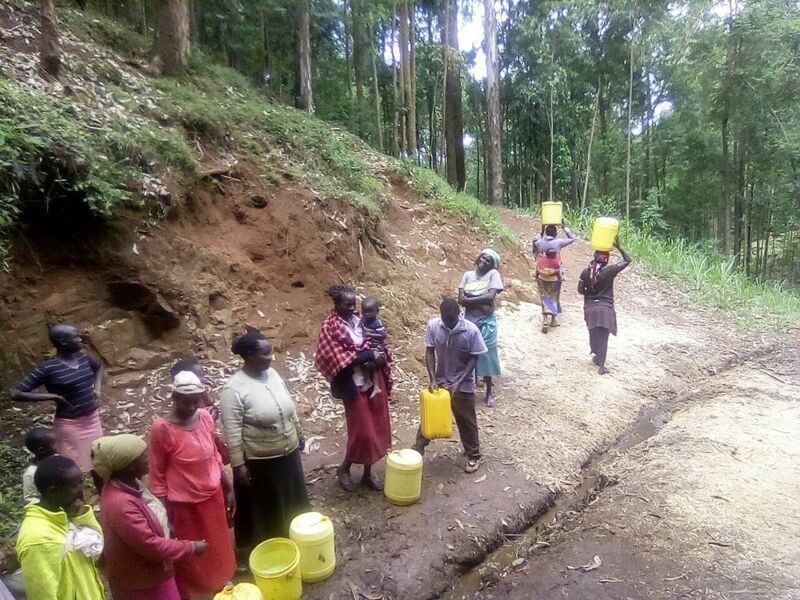 After the successful trial drilling, the construction of the kiosk was started yesterday, where the water is given to the villagers. The Spinika family has provided a land for free to our association.